JK Enterprise Landscape Supply, LLC > Blog > Some Popular Mulch Choices for Delivery This Year! Some Popular Mulch Choices for Delivery This Year! Mulch is mulch, is it not? Not exactly. Mulch is a basic term for the subset of organic products used to adorn and protect the ground in your garden; mulch helps to keep plants’ roots warm and nourished while improving the condition of the soil and reducing overall water consumption. Hardwood bark mulch is a common choice among Gainesville VA homeowners, but there are other options to consider when planning your spring garden and beds. Shredded hardwood mulch lends a seamlessly natural look to landscaped garden beds and wooded scenes; JK Enterprise Landscape Supply often recommends the use of shredded hardwood for creating paths and trails. 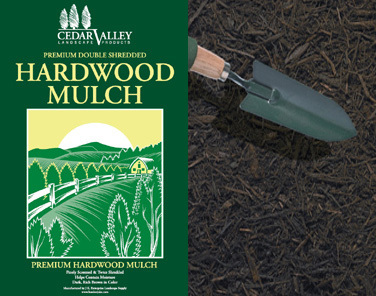 Choose shredded hardwood for steep slopes and areas likely to flood, too, because this mulch isn’t all about aesthetics — providing a solid layer of protection against unwanted moisture. Cedar mulch smells so good. As the wood’s natural oils break down, the air is filled with a pleasant odor, and what’s more: insects be gone! Cedar mulch is a great choice for Gainesville VA homeowners who struggle with termites and other infestation. You might choose to line delicate garden beds with cedar mulch, for its fine texture will never overwhelm your prize perennials. Usually made of hardwood and shredded, dyed mulch comes in red, black, or dark brown and is delivered bagged or bulk. Colored mulch really makes a statement. Dyed and naturally colored wood mulch are equal in performance property. Order online today! You’ll be just in time to get your yard ready for Easter and then the hot summer (it’s coming! ).